Dans ce film, j'ai aimé le côté décalé, la musique, les converses, les robes zippées, le jeu des acteurs. Je n'ai pas aimé les erreurs historiques graves et la lenteur de certaines scènes. Dans le Marie Antoinette de Coppola c'est le portnawak du scénario, qui me choque. Provence papa, non mais! ... et aussi la musique que je n'aime pas, pas parce que c'est du rock, mais parce que j'aurais mis autre chose, comme rock. Mais c'est on ne peut plus perso, comme ressenti. Souffrez, chère, que l'on puisse ne pas être d'accord avec vous. Et ça , vous en pensez quoi ? Dans les potins qu'on adore : vous saviez que Mathilde Favier avait fait une apparition dans le MA de Sofia ? Cette scène, vous en pensez quoi ? En ce qui me concerne, je vous répondrai que ce qui vient à l'esprit avant tout c'est la beauté du costume dû à la Créatrice Milena Canonero. Les costumes sont justes sublaïmes !! Et je ne suis pas la seule à le penser, Milena Canonero vient de recevoir un Ours d'Or !!! Ours d'Or d'honneur Berlinade 2017 !! Bonne nouvelle ! C'est toujours bon de voir un talent reconnu. Mais la scène, vous en pensez quoi ? Quelle que soit notre opinion personnelle, les détracteurs et les adorateurs de ce film tomberont d'accord sur ses répercussions. Le Château de Versailles, "icône absolue" selon Olivier-René Veillon, où la fréquentation touristique a aussi été en baisse de 15% l'an dernier, n'est pas en reste, avec principalement des films historiques, dont la série Versailles l'an dernier. Marie-Antoinette de Sofia Coppola, qui a eu un très gros succès au Japon, avait eu un effet immédiat sur la fréquentation japonaise de Versailles l'année d'après", raconte M. Veillon. On n'est pas sortis de l'auberges les enfants ! Que penser du "Marie-Antoinette" de Sofia Coppola ? Que c'est peut-être ce film qui a décomplexé le théâtre classique ! C’est entendu. 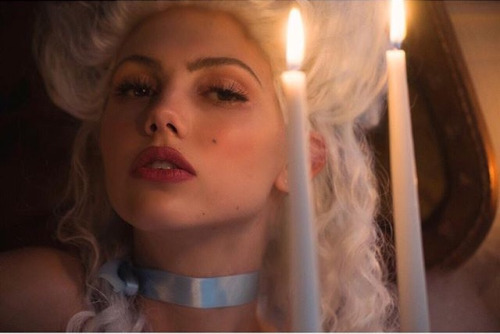 Depuis Sofia Coppola et son film « Marie-Antoinette », la pop et le dix-huitième siècle font maintenant bon ménage. On en trouve une nouvelle illustration dans la production du Jeu de l’Amour et du Hasard, de Marivaux, par la Compagnie La Boîte aux Lettres, jouée en ce moment au Théâtre Michel à Paris. Les fan de la belle réalisatrice liront cet article avec le plus grand intérêt. 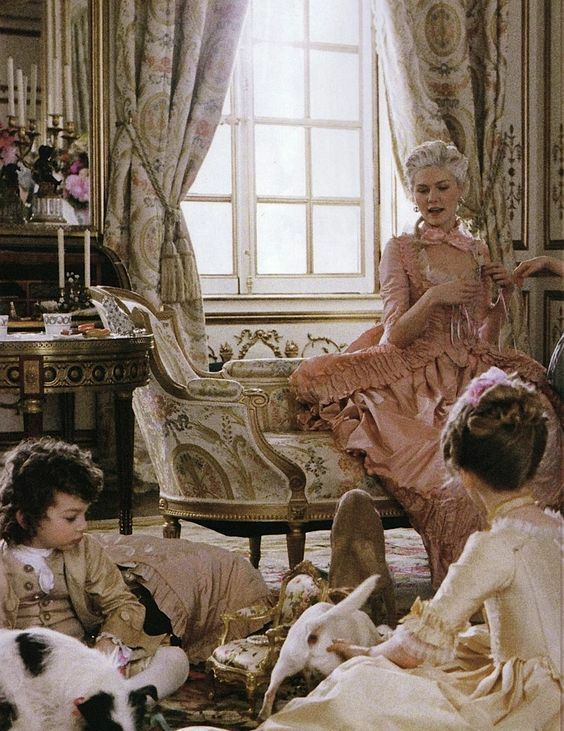 Sofia Coppola’s 2006 film ‘Marie Antoinette’ was thought to be an anachronistic, apolitical look at the life and death of the infamous French queen. In fact, it was the movie’s study of style and privilege that made it a political statement. The essence of the current cultural discourse is that everything we watch is at least latently political. And we, the people, are hungry for political art. This monthly column, The Politics of American Movies, will explore everything from racially progressive Westerns and antifascist comedies to documentaries about the working class and popcorn flicks with subversive bite. You can’t tell the story of Marie Antoinette, the last queen of France, without addressing, or even dwelling on, her style. 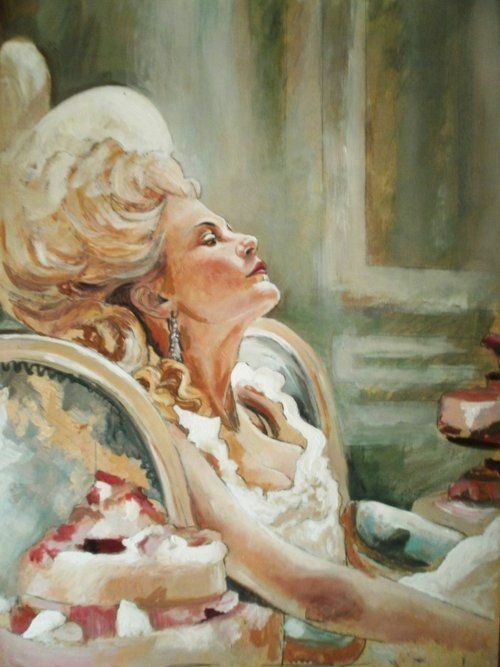 It was, after all, her extravagant way of life — her yard-high pouf hairdos, modish outfits, custom fragrances, and coterie of partygoers clinging to her like palace robes — that became the damning hallmark of Marie Antoinette’s reign. Actually, no: Her public beheading by revolutionaries in Paris, in 1793, is probably the hallmark of Marie Antoinette’s queenhood. By then, however, she’d been stripped of her title, the French monarchy having definitively ended nine months earlier with the beheading of her husband, Louis XVI, and the death of their presumptive heir, the 10-year-old Louis XVII. To be honest, if we’re really compiling Marie Antoinette’s highlight reel, “Let them eat cake” — that spiteful, fabricated phrase — probably deserves a seat up front. She never said it, but her persona nevertheless remains bound up in it. There, in a few words, is the story of Marie Antoinette’s public perception throughout history. How aloof, even vicious the wastrel queen must have seemed to her suffering subjects and their bankrupt nation. Sofia, daughter of legendary director Francis Ford Coppola and documentarian Eleanor Coppola, was of course the subject of her own, peculiarly American, dynasty. Sofia had begun working on a movie about Marie Antoinette soon after the release of her debut feature, The Virgin Suicides, in 1999. She had yet to make her true breakthrough feature (and second masterpiece), 2003’s Lost in Translation, and thus had yet to gain a damning reputation for making nepotistically privileged films about the cloistered worlds of well-off women such as herself. But she was well on her way. Veiled autobiographical filmmaking was never a problem, apparently, until Sofia Coppola picked up a camera. If Lost in Translation didn’t totally solidify that narrative, her eventual third film, Marie Antoinette, starring Kirsten Dunst in the title role, certainly did. 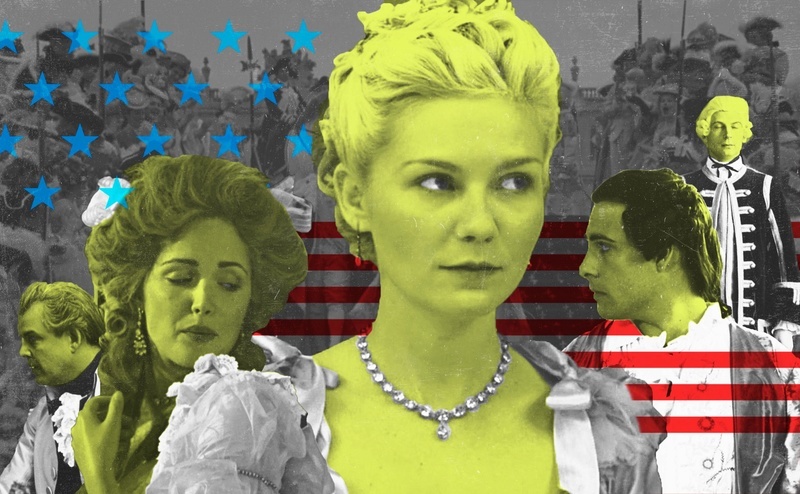 When Marie Antoinette played at Cannes in 2006, it debuted to what Manohla Dargis, of The New York Times, described as “lusty boos and smatterings of applause.” “The princess lived in a bubble,” wrote Dargis, explaining the negative reaction, “and it’s from inside that bubble Ms. Coppola tells her story.” The tale of a poor little rich girl — or, worse, the tale of a malevolently reckless queen depicted as one — was insufficient. The movie, with its blatant anachronisms (sneakers, the Cure, modern American and British accents); its fetish for rich cakes, bottomless drinks, and sherbet-colored accoutrements; and its lack of regard for the proletariat, was easy to write off as apolitical. Thus, so was Coppola. The movie is blissed out enough to come off as a two-hour brunch with the girls: all frivolous gossip and leisure, no substance. But that, of course, is the movie’s premise. It was also one of the premises of Marie Antoinette’s existence and a major factor in her death. It’s the essence of Coppola’s own style as a filmmaker to revel in moods and surfaces — not to obscure her characters’ inner worlds or ignore their greater contexts, but rather to draw them out through a mere semblance of style. Most period pictures about political figures work from outside in: from history or the grand narrative of the subject toward the conveniently fictionalized inner lives that explain those overarching concerns. They whittle their characters down to only what’s needed to explain the familiar tides of change. 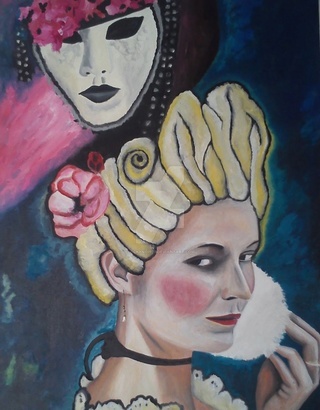 Marie Antoinette, by contrast, seems to ignore history and politics altogether, homing in on the immediate pleasures of privilege, as well as the stultified inner life of a teenage girl turned out-of-touch queen. Coppola has been accused of ignoring history in favor of languishing in the bejeweled pleasures of her navel-gazing characters. 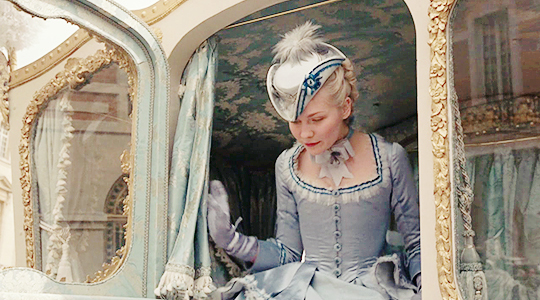 But in Marie Antoinette, style begets substance, revealing multitudes about the politics of history and how we tell it. As a Vanity Fair headline once read, they didn’t call her “Madame Deficit” for nothing. Marie Antoinette, born Maria Antonia, Archduchess of Austria, was the image of excess — and excess bespoke corrupt power. In her case, that power was overstated. French queens were prevented from having much political influence, thanks to laws that excluded women from the line of royal succession. And Marie Antoinette’s position was famously precarious to begin with, because for the first seven years of their marriage, Louis XVI was either unwilling or unable to consummate their union. (Marie Antoinette’s brother, Emperor Joseph II of Austria, had to give Louis a pep talk, complaining later that Louis “has strong, perfectly satisfactory erections; he introduces his member, stays there without moving for about two minutes, withdraws without ejaculating but still erect, and bids goodnight.”) It was Louis’s issue, but the pressure to produce an heir — to seal trust between Austria and France, as promised by the marriage — came down on Marie Antoinette, not him. Her powerlessness was, of course, relative. She was still the queen; she had an annual spending budget for clothes that surpassed $3.6 million in contemporary dollars, and she frequently surpassed, even doubled, that number. 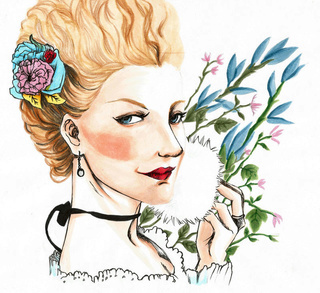 It got to the point that even Marie Antoinette’s key coconspirators — her hairdresser, Léonard Autié (inventor of the pouf), and her perfumer, Jean-Louis Fargeon — have had biographies written about them. Historian Caroline Weber, author of Queen of Fashion: What Marie Antoinette Wore to the Revolution, has argued that her style was a matter of self-determination, even resistance. Becoming the dauphine of France at 14 and its queen at 18 meant being shed of all her Austrian accoutrements and habits, denuding herself of an old way of life as embodied in the things she wore and the ways she behaved, in order to adopt a new, distinctly French lifestyle. She resisted this idea. As Weber’s and Fraser’s books both reveal, she flagrantly defied the rigid social protocols that had been followed by the monarchy for generations — to the delight of some and the embarrassment of others (including her mother). Her style, Weber writes, was part of “the campaign she waged against the oppressive cultural strictures and harsh political animosities” of her time. It’s a plausible read, but let us not forget: She was also, simply, a teenager. As Sofia Coppola imagines her, she was bored, vain, in love with her dog, and thinking about boys. When Marie Antoinette opens, in 1768, it’s the morning of Maria Antonia’s handover to France, and the only remaining step is an overlong carriage ride. Coppola turns this scene into an epic joke, where another film might leave a similar transition to the ellipsis. 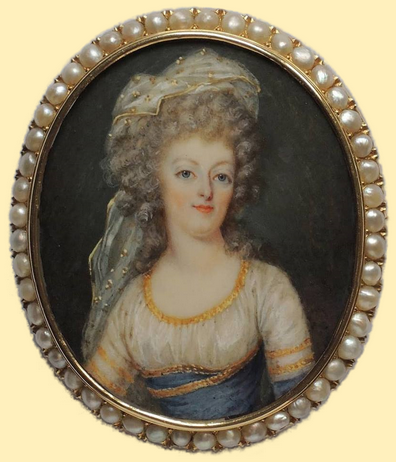 Maria Antonia and her friends fall asleep in their eye masks, gossip, fingerpaint with their breath on the windows, play with their dogs, and study Louis’s miniature locket portrait (“He’s definitely very French”). The scene fades to black, fades back in — and here we still are, bored. By the time of the handover ceremony, the girls are groggy and dishevelled. The scene plays out with a loose sadness, a girlish ennui that announces itself as an anachronism while also, uncannily, burrowing into the truth of how the queen-to-be feels. What’s striking is how casual it all is. Period dramas about political figures typically teach us that power enforces itself through rigid style and decorum, a set of rules about how to behave. Yet here’s Rip Torn (playing Louis XV), smoothly inquiring about his future granddaughter’s bosom. And here’s Maria Antonia’s future husband and king, playing swords in the woods with his friends the way future generations will toy with lightsabers. It’s as if Marie Antoinette were not a historical figure to Coppola, but our immediate, glorified contemporary — hence the attitude. When Marie Antoinette examines herself in the mirror, it’s as if she’s on the cusp of inventing the selfie. Because Coppola’s anachronisms are all matters of style and performance, they make us rethink the period in those terms. The movie opens to the punkish strains of Gang of Four’s “Natural’s Not in It” (key lyric: “The problem of lesisure / What to do for pleasure?”), and midway through the credits, we see a decked-out Marie Antoinette surrounded by cakes during a shoe fitting. She dips her finger into a cake, sticks it in her mouth, and shoots the camera a look. The movie’s anachronisms openly court accusations of irreverence; it was the common charge, by both detractors and defenders, that the movie is another Coppola treatise on the privileged bubble of Hollywood. Fair enough. Coppola absolutely knows she’s making a film about a woman continually under the gaze of others. “All eyes will be on you,” the empress of Austria says to her daughter before shipping her off to France, and Coppola bears this out, time and again laying snippets of nasty gossip over images of Marie Antoinette traversing the vast indoor and outdoor spaces of Versailles. She’s dwarfed by space in these moments, highly visible, vulnerable to perception, with the gossip seeming to come from everywhere. From even the moment she lands at Versailles as a teenage girl, walking the long length of the court into the palace, we sense the weight of public opinion falling on her shoulders. Coppola reverts to a handheld camera and, shooting from Marie Antoinette’s point of view as she walks through the crowd, allows the image to tremble, gently, under the scrutiny. Looking back at onlookers becomes the movie’s dominant mode, and also its central gag, as Marie Antoinette comes to understand her life as a series of private rituals rendered public — including all the action, or rather its lack thereof, in the bedroom. The marriage bed itself is a monstrosity of competing colors and textures, overwhelmingly — no, oppressively — floral. Coppola revels in it, at one point coordinating a private cry session in the bedroom as Marie Antoinette stands against an audaciously patterned wall. 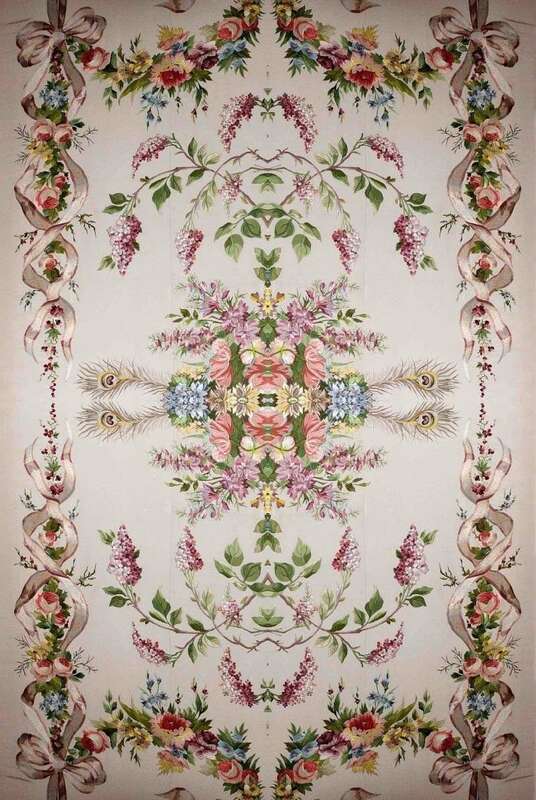 The sense of suffocation is clear: It’s as if Kirsten Dunst were about to be swallowed up by the wallpaper. Hence, once again, the charge that Coppola luxuriates, with an off-putting familiarity, in the problems of the privileged. But moments like this read, for me, as more direct indications of what makes self-expression through individual style — rather than through the group rituals of the powerfully rich — so essential to this story. The great fashion critic Anne Hollander has written that Marie Antoinette didn’t “invent fashions”; instead, “she promoted radical new ones through her public persona, in the modern, celebrity-culture way.” Coppola’s Marie Antoinette is as primped and tailored-to as a pop princess who’s never written her own songs. She is clearly the product of a team. But throughout her movie, Coppola emphasizes the forces that made self-expression — through mode of dress, through behavior — essential to Marie Antoinette’s sense of who she was. Coppola is more than aware that the pleasures in which her film basks are precisely the strikes the revolutionaries held against the fated queen. That is the point. You aren’t watching a movie about the life of Marie Antoinette; you’re watching a movie that embodies all the reasons she died. The movie thus doesn’t follow its heroine to her beheading — it doesn’t have to. The movie’s last shot, of that suffocatingly dense bedroom in ruin after the mob’s invasion, the chandelier shattered and the fabrics ripped, spells it out for us. Insofar as they were used to justify her death, Marie Antoinette’s excesses overdetermined her life. Style is personal. And in the case of a woman whose personal style signified her status, above all else, the personal isn’t merely political: It’s politics itself.